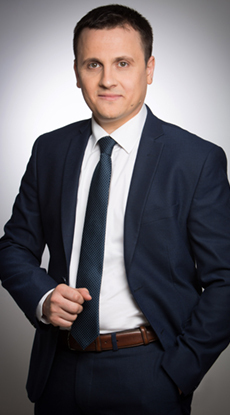 Mr Mihai Popa joined Muşat & Asociaţii in 2005 and gathered remarkable expertise in assisting clients throughout all the steps of reorganization and insolvency, including judicial and voluntary reorganization, pre-insolvency proceedings, bankruptcy and liquidation, asset recovery and/or negotiations with debtors and creditors. 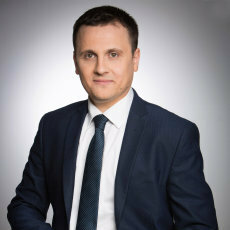 In addition, Mihai manages complex litigation files in the insolvency field, including recovery of receivables, cancellation of fraudulent acts, challenging the measures ordered by judicial receivers, successfully handling assignments entrusted by clients in a wide range of sectors, such as energy, constructions, pharma, retail or financial. The largest Romanian heating power producer during the voluntary winding-up as the last stage of reorganization. A Dutch multinational company, specialized in financial and banking services within the insolvency procedure regarding one of the largest State-owned companies in the chemical industry. Retained as judicial administrator of one of the largest local companies in the construction sector (formerly owned by the Romanian State) during the insolvency procedure. A leading French company acting in the field of fire safety in connection with the insolvency procedure against the largest Romanian manufacturer of electronic security equipments (as debtor) for the recovery of significant commercial debts, as well as the repossession of equipment granted to the debtor. A global leader in the supply of aircraft, engines, OEM material and asset management services in relation to the recovery of a multimillions EURO commercial debts against a major low-cost airline carrier. A water supply services provider controlled by a local territorial authority in relation to the recovery of a multimillion euro commercial debt against its main debtor and its guarantor, both being well-known Romanian infrastructure contractors which are currently under insolvency proceedings.